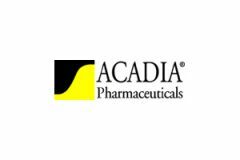 This page shows the latest Acadia Pharmaceuticals news and features for those working in and with pharma, biotech and healthcare. Compound. Indication. Company. trazodone. Depression. Labopharm. pimavanserin. Schizophrenia. Acadia Pharmaceuticals. salmon calcitonin. ... Compound. Indication. Company. VSF-173. Excessive sleepiness. Vanda Pharmaceuticals. APD-125. Insomnia. Arena.